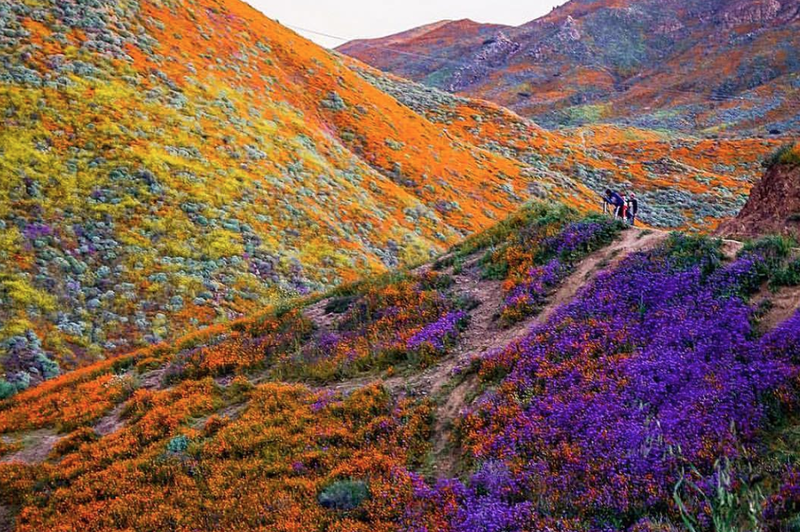 A sea of deep purples, warm oranges and bright yellows have taken over areas of California’s Anza-Borrego desert in recent days, thanks to the so-called “super bloom” that has littered the area with vibrant wildflowers. The bloom is the second in two years, an unusual occurrence as the event typically happens once a decade. But a massive amount of rain (which, Richard Minnich, a professor of earth sciences at the University of California, Riverside told KPBS is “150 percent more than normal”), followed by warm weather has apparently led to the perfect conditions for long-dormant seeds under the desert surface to burst into life. In addition to rain, a super bloom also requires “years” of drought to “kill off invasive European grasses and weeds,” according to KPBS. This helps the state’s native flowers bloom. Hot pink Bigelow’s Monkey Flower, purple Sand Verbena, delicate white and yellow Evening Primrose and desert lilies — which opened up in December, signaling a super bloom was possible — can be spotted, as can orange poppies, which blanket the sides of Southern California highways. And the the bloom could intensify — barring caterpillars and freezing temperatures. “It’s going to be better than it’s been in the last dozen or so years,” Mike McElhatton, educational program director of The Anza-Borrego Desert State Park Natural History Association, told AccuWeather. 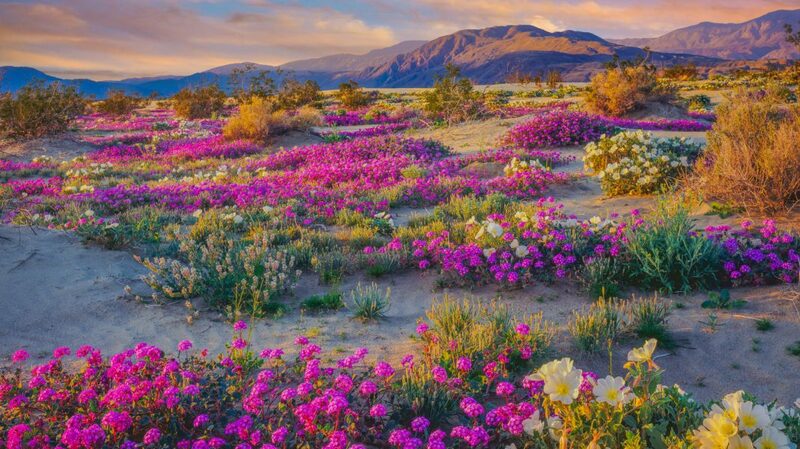 California last experienced a super bloom in the spring of 2017.